Tuesday's Vice Presidential debate was like a bad version of "Waiting for Godot": The questions lacked focus. The conversation meandered. The men spoke past one another. And the moderator intervened in very mysterious ways. 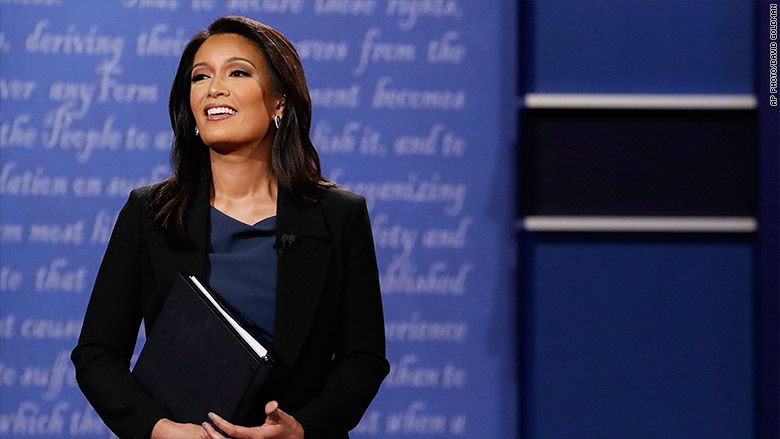 Elaine Quijano, the debate's moderator, lost control of the debate. Fiercely committed to her script, she stopped the candidates when they were in the middle of a good discussion and failed to stop them when they were simply talking over one another. "Elaine Quijano seems intent on running through her questions, even when significant exchanges are happening," David Axelrod, CNN senior political commentator, observed on Twitter. The most notable example came when Quijano switched topics just as Sen. Tim Kaine was pressing Gov. Mike Pence to explain why he had not defended his running mate Donald Trump on six different issues. Instead of letting what may have been a very revealing conversation play out, she moved the discussion along. "Elaine Quijano should occasionally go where the debate is going, and not stop these interesting arguments," Jeffrey Goldberg, the Atlantic's national correspondent, tweeted shortly after that moment. Elaine Quijano should occasionally go where the debate is going, and not stop these interesting arguments. "Why change the topic at the best moment?" asked Kenneth Li, the managing editor at Newsweek. At other times, Quijano seemed almost powerless to stop the candidates from simply bickering with one another. She was even forced to reprimand both candidates at one point, telling them: "Gentlemen, the people at home cannot understand you when you speak over each other." Related: Who is vice presidential debate moderator Elaine Quijano? On at least one occasion, Quijano was similarly powerless in getting the candidates to address her question. "I'll remind you both, the topic was North Korea," she told the candidates as they attacked one another over the Clinton and Trump foundations. To be sure, Quijano had an extremely challenging task. There is only one vice presidential debate, and the format required her to address nine topics in the span of just 90 minutes. Moreover, both candidates were more interested in attacking one another's running mates than actually answering the questions at hand. 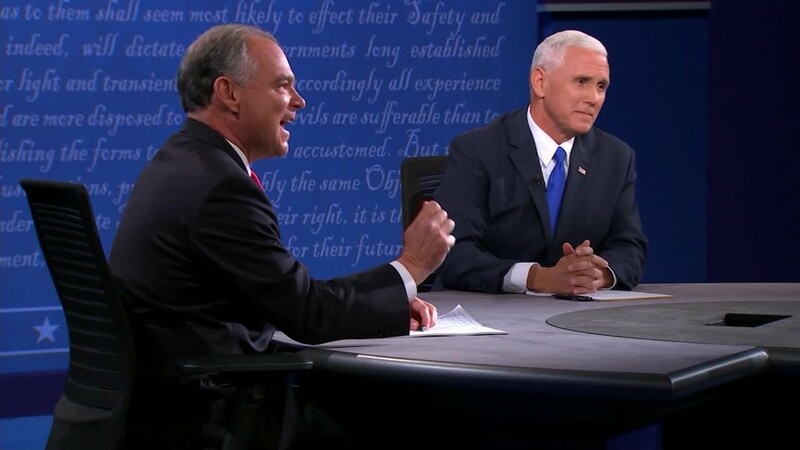 They also had two different styles, which made moderation difficult: Kaine was notably aggressive and interrupted Pence frequently, while Pence cast a more thoughtful, reflective posture. But her performance served as a reminder that debates are not scripted events, and they require moderators who can be fluid and adapt to the direction the candidates choose to take the discussion.